There's just something about Essie, isn't there? The colors are gorgeous and unique, and every time you slick one on, it's time for tons of compliments. And that's exactly what happened when I tried For The Twill Of It and Full Steam Ahead. For The Twill Of It is from the new Fall 2013 collection. This is the color that's on everyone's tips -- and on everyone's lips! It's one of the most popular colors of the season, and I think it's pretty clear why. This color is a combination of grey, purple, green pink in a gorgeous duochrome finish. The hue changes depending on the light and is definitely unique! Full Steam Ahead is a pretty pale lavender/lilac with hidden bluish silver shimmer. The shimmer is just barely visible in the bottle, and even less so on the nail -- but when the right light catches it, BAM! Miraculously, my picture of this color garnered over 100 likes on Instagram within a day -- definitely more than I've ever gotten on a photo. I think it's because it's just one of those colors that's so darn gorgeous! Isn't For The Twill Of It so amazing? Have you worn it yet? For the Twill of it looks divine! Love love love both these colors... 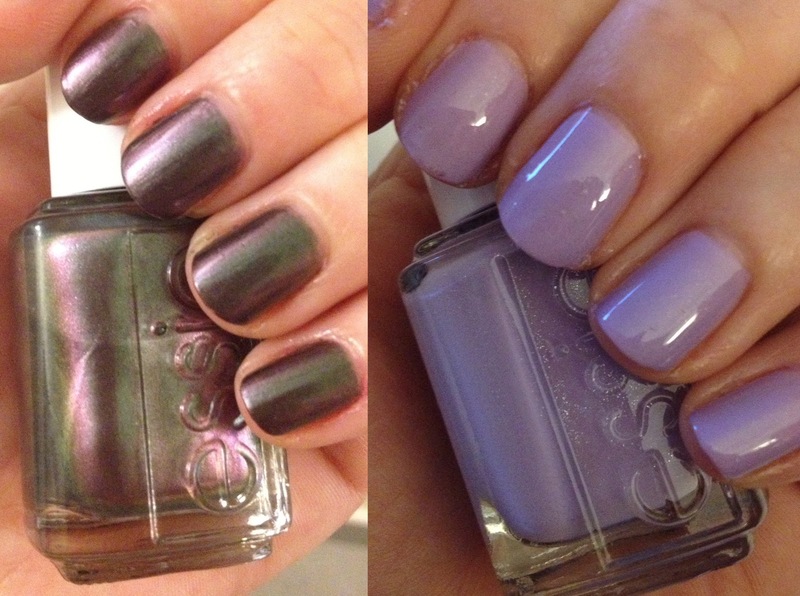 I need Essie to make gel colors! Hopefully they'll get in on the gel game!